Details: 3 BR, 2 BA Gulf-front Property with 1,330+/- sq. 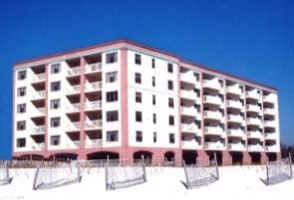 ft.
Orange Beach Condo for sale at The Palms. This beachfront residence has been well maintained and professionally decorated, with updated kitchen and bathrooms. Enjoy relaxing ocean breezes and amazing views of the Gulf of Mexico from the large private balcony – ideal for spending time with family & friends. This 6th floor resort condominium home features a spacious floor plan, fully equipped kitchen, a full-size clothes washer & dryer and more. Community amenities include an indoor heated pool, a gulf-front outdoor pool, BBQ grills, tennis court, workout facility, sauna and more…you have to come see this one.